Watching movies in French is a great way to learn French, not to mention discover the culture and history of France. French film enjoys a broad selection of genres. From comedies to war dramas, there are directors who have mastered it all. Check out some of these excellent French movies if you can find them at your local rental shop. Mail delivery DVD companies also offer a complete selection of foreign films, including most of these French gems. The following movies in French are highly-recommended. For high school audiences, check the rating before showing some of the darker films to your students. This film was not made entirely by French producers, but by a group of European producers. Nonetheless, as the main character is French, and much of the movie is in French, so it is typically classified as a French movie. The movie brings together humorous and life-changing moments in the lives of several young people who are sharing an apartment while studying abroad in Barcelona. Their experiences in sharing space collide with their experiences of being far away from their own cultural norms, making for a hilarious, yet unforgettable movie. A darker movie, this 1960 film presents a time and place from the perspective of the main character who is a thief wanted for murder. While the police are closing in on him, his daily existence revolves around an American beauty that he has only known for a few weeks. A classic French film, this is a must-see for students of French cinema. A quintessential French comedy, this short film will make you laugh. Full of misunderstandings and sudden plot changes, this film is highly recommended as a peek into French comedy. Some of the jokes are wordplay in French, so be sure to watch it with French audio, even if you have to turn on the subtitles to fully understand the movie. One of the most famous contemporary French films, this quirky film became a worldwide phenomenon, catapulting Audrey Tautou (one of the most famous French actresses) to worldwide fame. Tautou's character is a young woman living alone, whose daily life seems painfully routine. Her imagination and fun-loving spirit ensure that her life is anything but routine, and the audience is taken along on a captivating journey alongside the main character. Another classic of French cinema, this film features a young boy whose parents are too busy with their own lives to realize that he is on a path to a future even more miserable than theirs. Left to his own devices, he steals and slips through the cracks, painting a sad picture of his present and future life. Full of social messages, this 1959 film is a great film for French students to study. A French war classic, this movie follows the story of several French officers during World War I. The cultural and historical values of this film are unsurpassable, and the movie also grabs viewers' attention and holds it, making this movie instructional, yet enjoyable, for students of French. 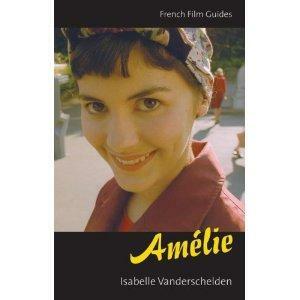 Considered by many to be an unduly shocking film, this one is an eye-opener according to many French film aficionados. Set in the suburbs of Paris, a 'realistic' look at daily life shows how violence can turn lives upside down. The film is not recommended for high school students, but has a strong message. From a linguistic standpoint, the film is also interesting because it features the slang dialect used in the Paris suburbs. A French comedy brimming with cultural misunderstandings, Les visiteurs is a fun film. While some may find the movie overly silly, this is perhaps unavoidable, given that the plotline includes a pair of medieval men being transported into the 20th century. For cultural and contemporary commentary, this comedy is a lighthearted gem. Another well-loved French comedy, this movie brings together themes of workplace politics and a purportedly gay man. Hilarity ensues as the main character, who lost his wife and son following a divorce, tries to hold down his job. A heartwarming documentary filmed in a one-teacher school in the heart of France, this film began as a small documentary, but became an international success. The experienced teacher, the adorable (and sometimes terrible) kids, and the landscapes make for a beautiful French film whose themes range far beyond the obvious one of primary school education. Even if you are only beginning your quest to learn French, get the most out of these French movies by watching them in French. Turn on the subtitles (French ones preferably) so that you can understand the movie, but resist the temptation to watch these French movies in English. Not only will the film be more powerful and you won't miss any linguistic nuances, but you will be improving your French pronunciation, grammar and vocabulary all at once, without even knowing it.